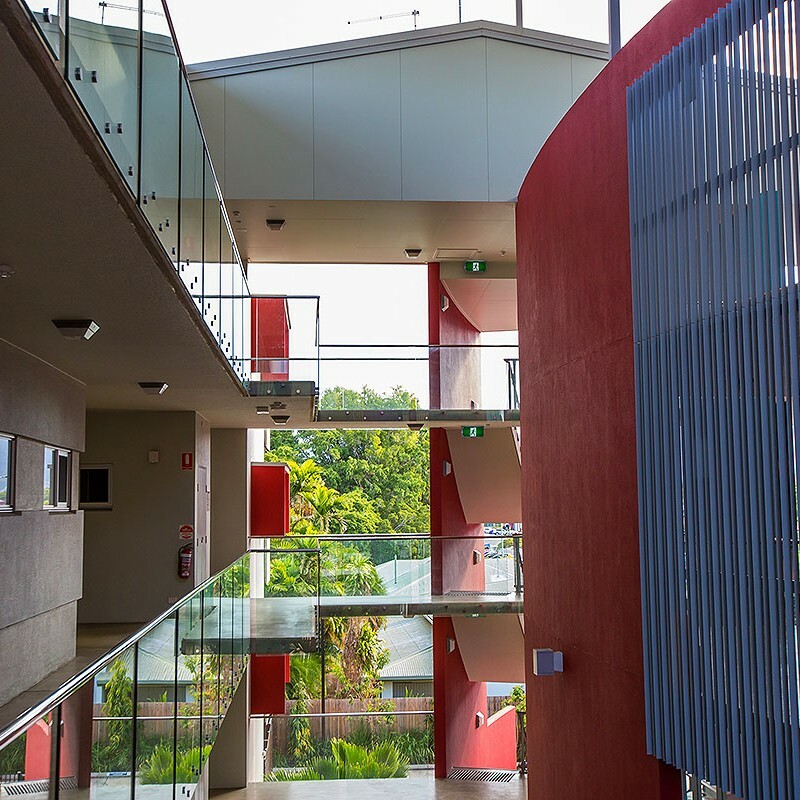 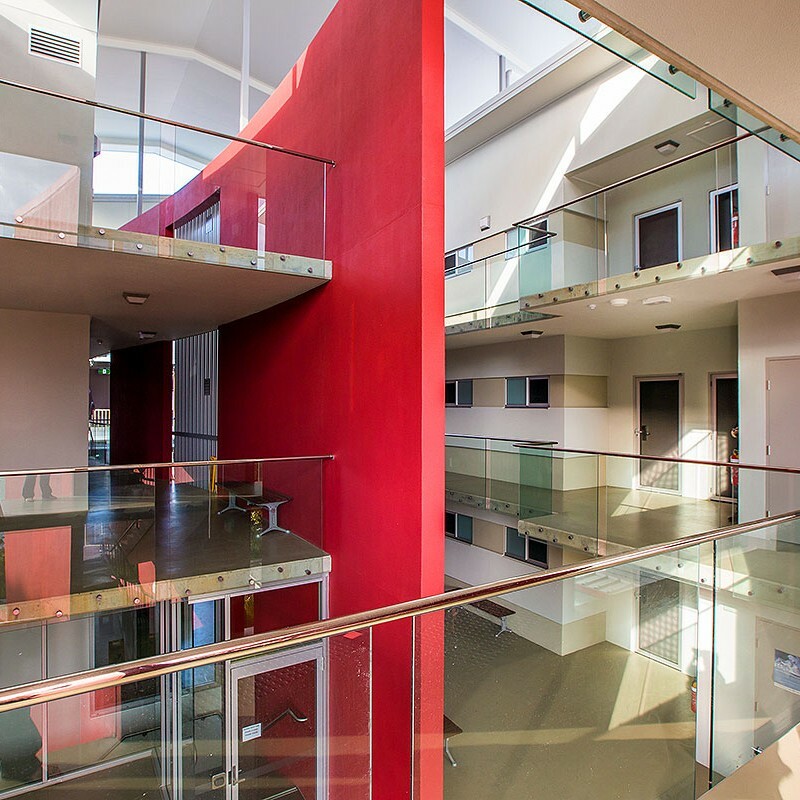 The construction of the Cairns Red Cross Wellbeing Centre was undertaken by Hutchinson Builders, with HPS Contractors being responsible for the delivery of Glazing Services through the Glassworx Division and Handrails and Balustrades through the Sheetmetal Worx Division. The centre provides a home away from home, for people from remote locations who are undergoing medical treatment in Cairns. 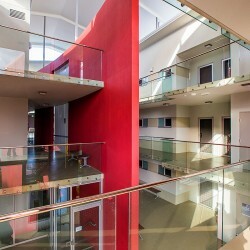 It consists of 44 rooms over 3 levels, with a large kitchen and spacious living and dining areas. 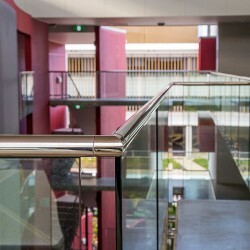 The glazing services provided in delivering the job included all aspects of internal and external glass on the project, including sliding and swinging glass doors, fixed / sliding / winding glass windows, top hung awnings and security screens with glass ranging from safety, frosted, clear, opaque films etc., frameless shower screens and a combination of framed mirrors. The HPS Sheetmetal Worx division of HPS Contractors provided all external and internal Balustrades including the Stainless and galvanised metal work and frameless glass panels.